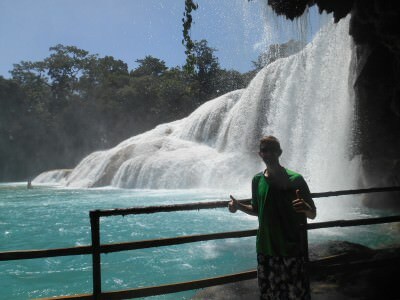 Touring the tropical Agua Azul waterfalls in Mexico. Mexico had more surprises for us than we could have predicted. While spending five days in San Cristobal de las Casas it became obvious that the easiest way to Guatemala would be to base ourselves there, do a few side trips then get a bus south to Ciudad Cuatemhoc. After our time in Oaxaca and Monte Alban, we arrived in San Cristobal de las Casas. 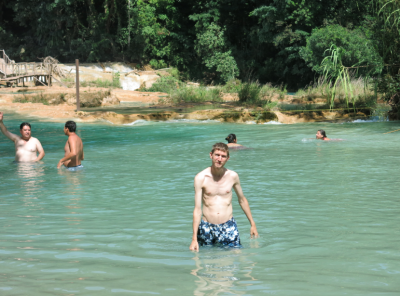 One of the side trips was a full on day out to Agua Azul, Palenque and Misol Ha. I’ll cover Agua Azul first. 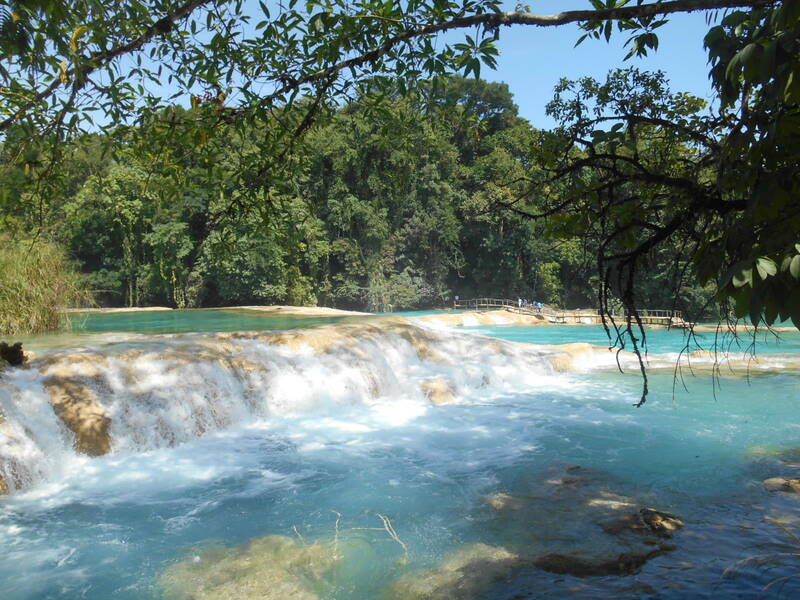 Tropical turquoise waters at Agua Azul. How much does it cost to visit Agua Azul? 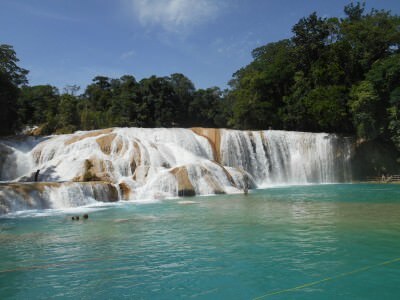 We chose option 2 as the tour also included a visit to Palenque and Misol Ha waterfalls. We used Jalapeno Tours and the cost was 375 Mexican Pesos per person. We may have got it cheaper as we bargained and there were two of us. We got two of us for 750 Mexican pesos. 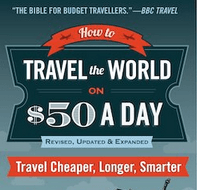 This works out at around $30 US Dollars per person. 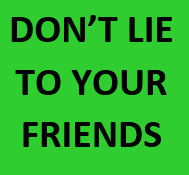 We have heard of some companies and agents charging much more, up to $40 US. Shop around when you are in San Cristobal de las Casa and you will get it for $30 US Dollars. For this price you get your bus journey to all three places and dropped off where you wish (either back to San Cristobal or to the bus station in Palenque). You get entry to all three places (and can keep your ticket for Palenque). No meals or drinks are included. Bring a lunch and water. 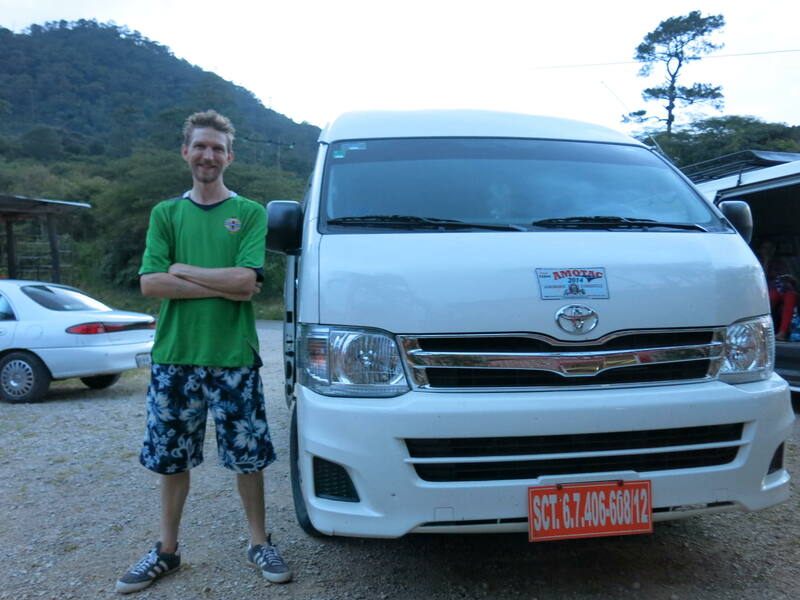 Our tour minibus on the day tour including Agua Azul. As I said we went with Jalapeno Tours and while I normally recommend the companies I have used myself, I WON’T recommend Jalapeno. The reason being the driver tried to cut the visit to Misol Ha waterfall off our itinerary when we knew it was included. Basically he was trying to make money out of us as he didn’t want to pay the fee to enter with the minibus. Strangely the other people in our mini-bus (clearly not used to scams or long term travel) didn’t seem to mind him trying to skip this bit!). 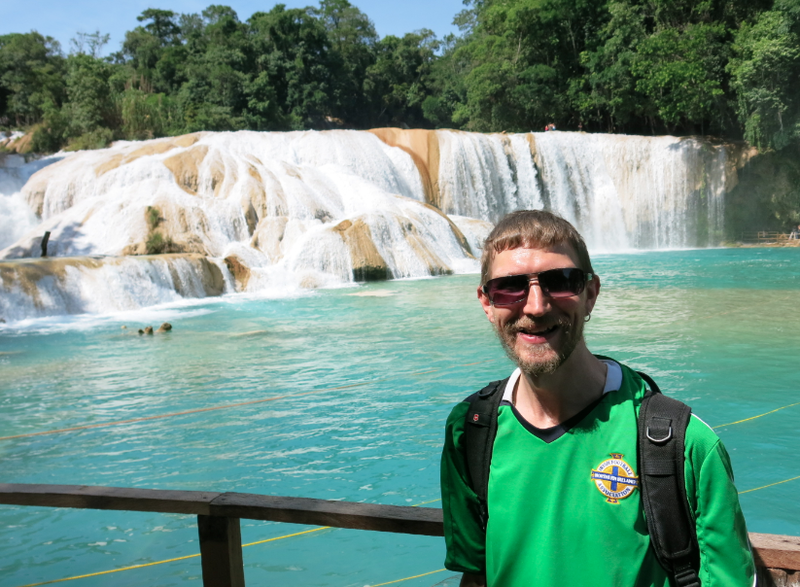 Glad I can write about it on here – so avoid Jalapeno Tours please 😉 That aside we were on the tour and the first stop was Agua Azul waterfalls. Visiting Agua Azul waterfalls in Mexico. We get picked up at our hostel at 5.30 am (standard for these long day tours) and are in a mini bus with other travellers, mostly other couples. It’s a drive through the darkness in the mountains, an 8am stop for breakfast/coffee which is not included. A cup of coffee here costs 15 Pesos, breakfast starts at 20 Pesos. By 10.15 am we have driven through some glorious mountains and arrive at Agua Azul waterfalls. 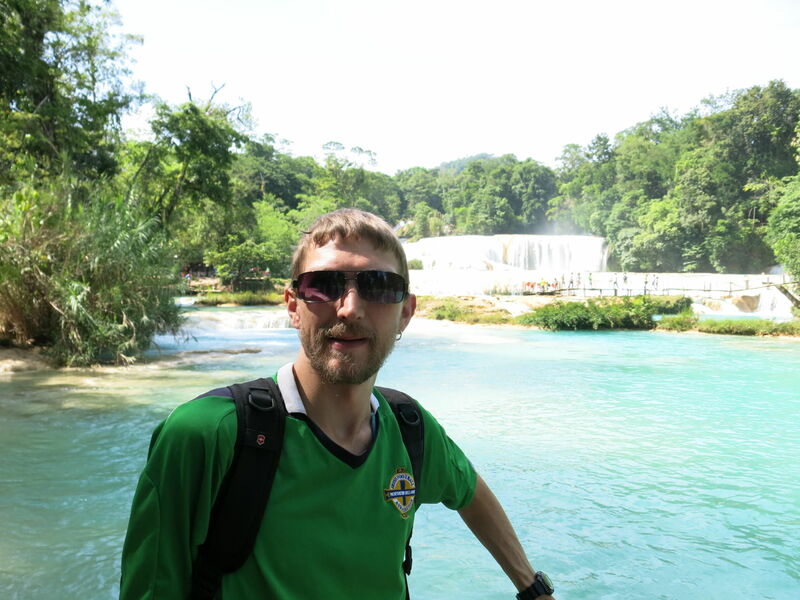 The first thing that hits me about Agua Azul is that it is FAR more touristy than I imagined. Stalls everywhere selling food and souvenirs on the way in and tourists everywhere. 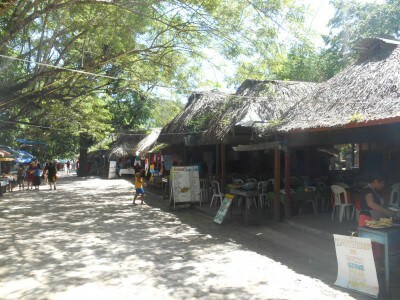 Stalls at Agua Azul – the commercial aspect. 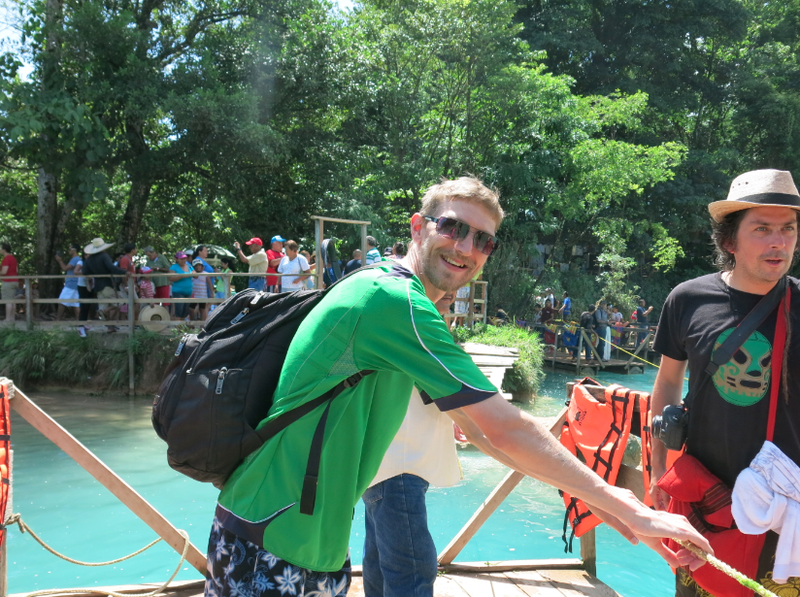 We got a water raft from the arrival side over to the more foresty side. This is not included in the price of the tour and you need to bargain down hard with the guys. In the end we paid 40 Mexican Pesos for 2 people for a return. It’s a 3 minute ride on the raft across, and a 3 minute ride back. The reason we got the raft is that the best views and swimming locations are clearly and deliberately on the other side! The rafts across to the other side at Agua Azul. 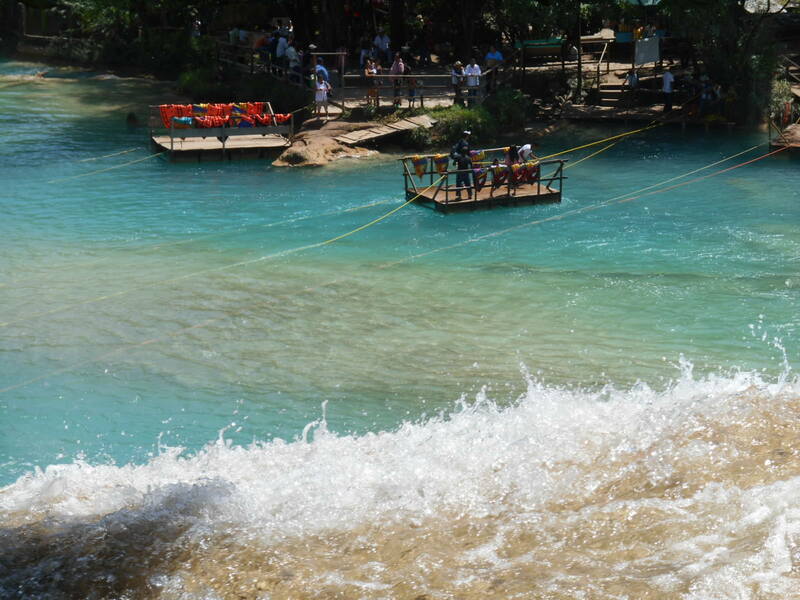 On the rafts at Agua Azul. It’s really not too dangerous and most people go in for a dip. 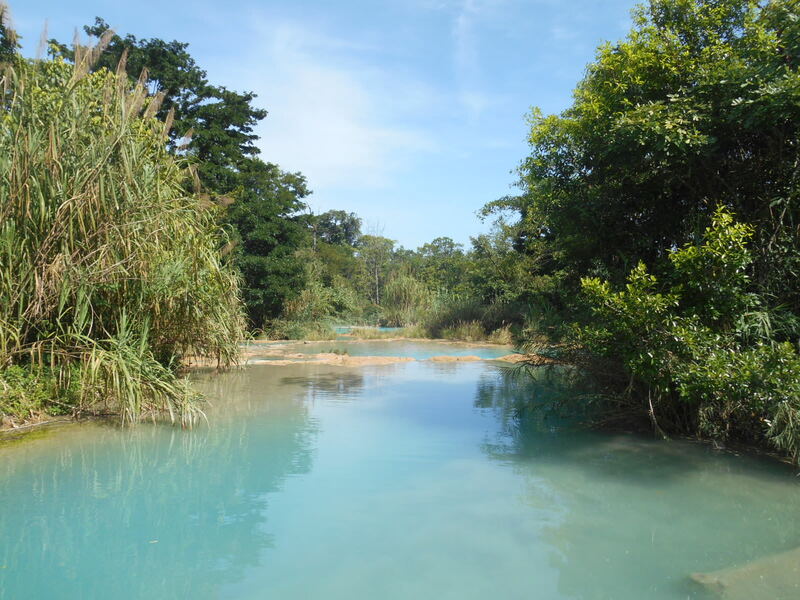 The waters are simply tropical and a blue turquoise colour, it’s amazing. Go in for a dip. There are changing rooms, but to save time, do your research and put your trunks or bikini on at 5am before the tour starts (as we did). Swimming in the waters in front of Agua Azul waterfalls in Mexico. 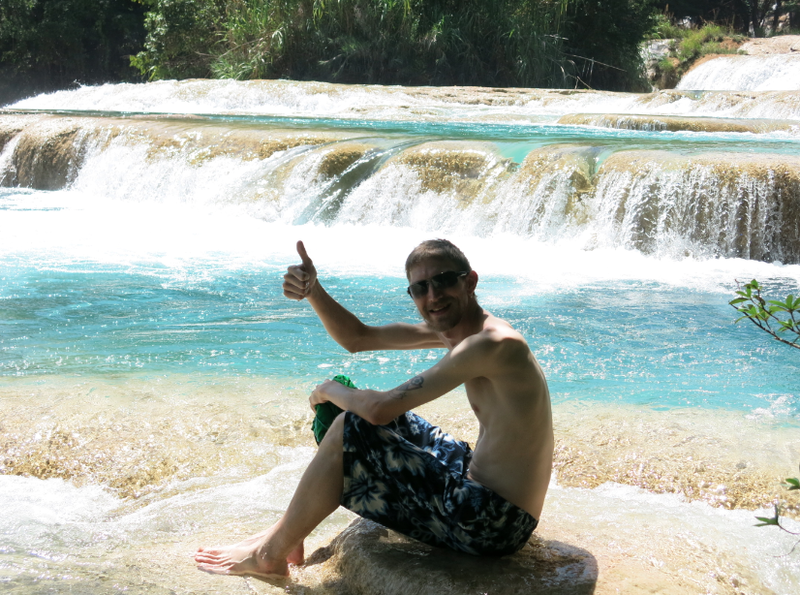 Relaxing near the top of Agua Azul waterfalls. 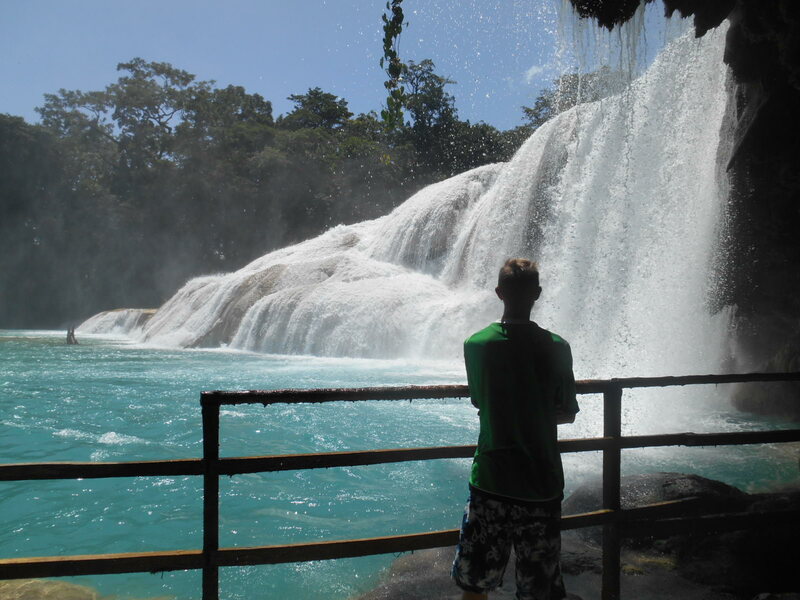 How long do you get at Agua Azul Waterfalls? To be honest it’s not long enough – we had about an hour and a half there as out tour driver wanted to head on the road. 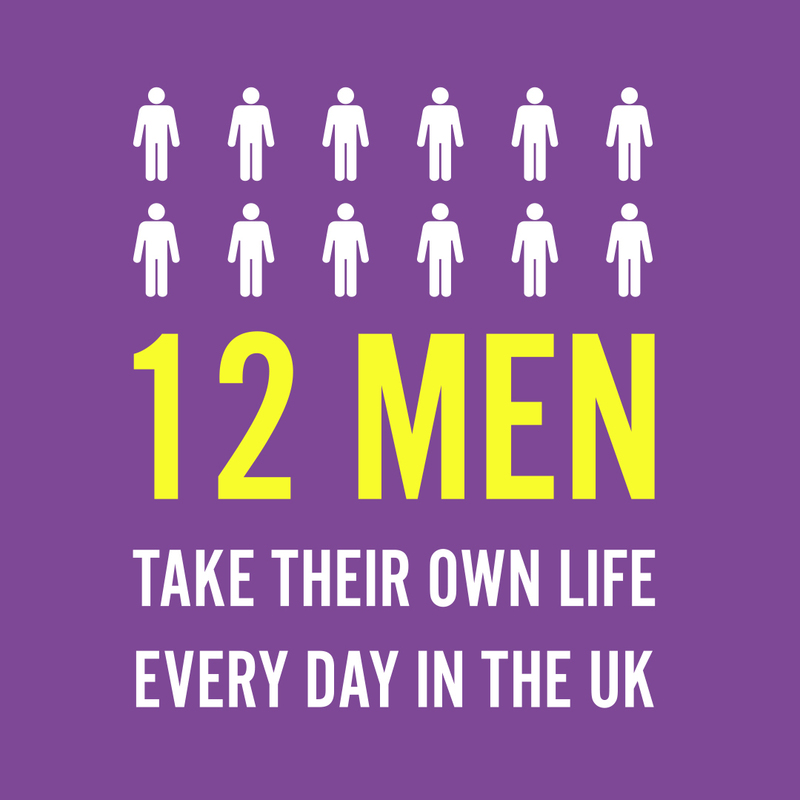 So make the most of your time and don’t delay or dilly dally at the start. 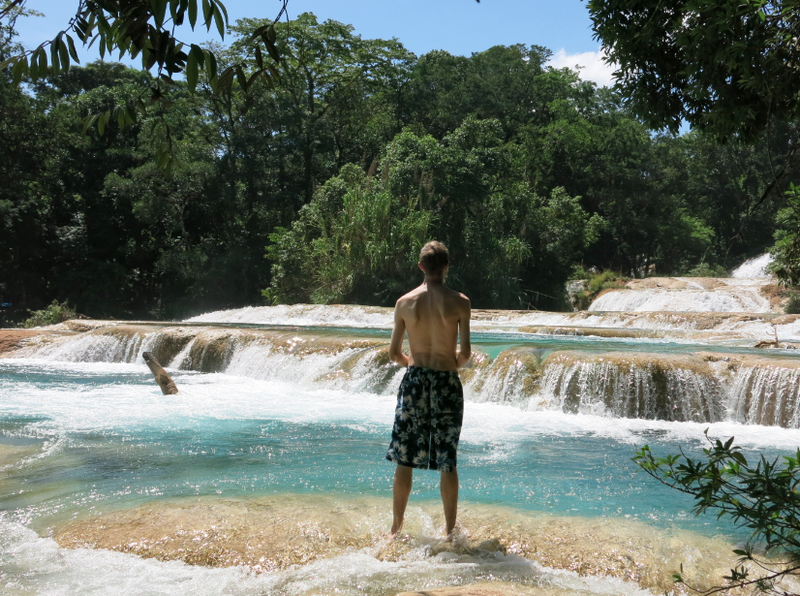 Savouring the moment at Agua Azul waterfalls. Agua Azul, underneath the main falls. As well as the places we checked out like Agua Azul, Palenque etc. Mexico is famous for its beaches. While I stuck to the inland stuff and the Mayan ruins, you can also plan your holiday by the beach to places like Playa del Carmen and Puerto Arista which are lined with beaches, bars and restaurants. I’ll try and write about Misol Ha and Teoutihuacan next though as those were the places we hung out. 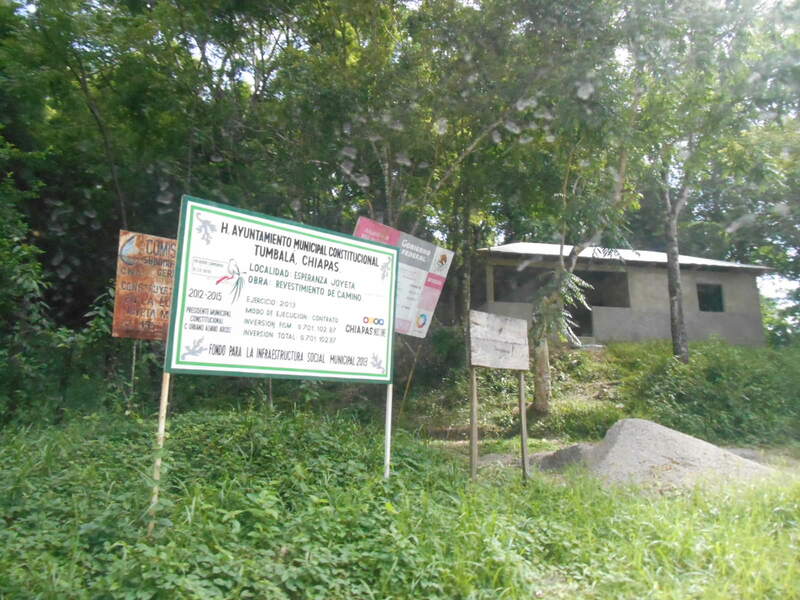 This entry was posted in Agua Azul, Mexico, North America. Bookmark the permalink. I don’t know which is worse – Jalapeno Tours trying to blatantly rip you off or the other tourists in your group who were willing to allow it to happen. The only time a pre-paid tour needs to be cut out of an itinerary is if there is an inherent danger — weather, protest/act of war, etc. — that can endanger you and others in the group. I always appreciate the honesty of travel bloggers who have been (or nearly been) ripped off by tour companies, and let their readers know. Good for you for standing your ground!